WizKids has announced six new miniatures sets as part of the WizKids Deep Cuts Miniatures line, all releasing in July. Like all Deep Cuts minis, these new kits include unpainted plastic models that require little to no assembly and come pre-primed and ready to paint. The models feature deeper detailing for easier painting. Some kits also have translucent components. All are packaged in clear packaging so the models can be seen before purchasing. The Large Cannon set includes a single bronze cannon on a gun carriage. The Catapult set comes with one wooden catapult. The Cannons set has a pair of small cannons on carriages. The Shark set has two views of a shark: a fin cutting through the water and a shark leaping into the air. 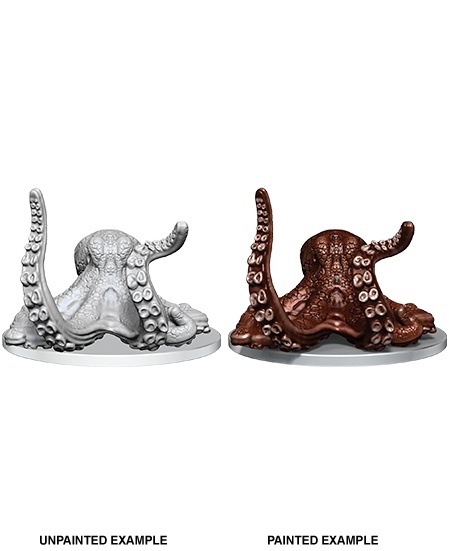 The Giant Octopus set includes one large octopus. The Polar Bear set comes with one polar bear on a slab of ice. All six kits are MSRP $4.99 each. Click on the gallery below for images of all six models. 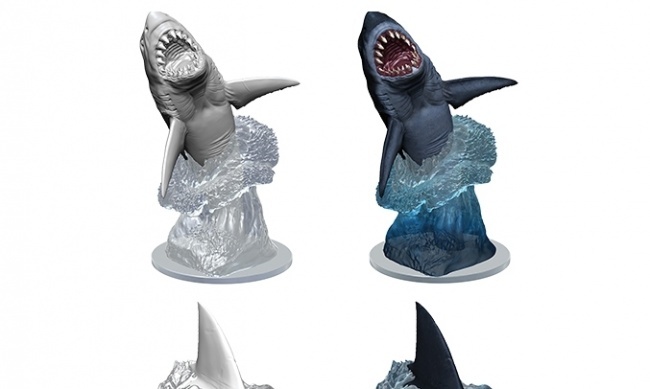 May’s release for the Deep Cuts line features a collection of civilians and accessories (see “A Town Full of ‘Deep Cuts’”).WizKids also announced licensed miniatures releases for July (see “WizKids Offers a Summer Smorgasbord of Unpainted Minis”).